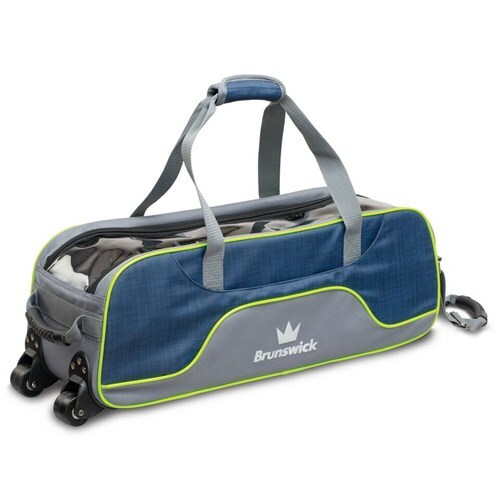 The Brunswick Crown Deluxe Triple Roller/Tote is the way to go when traveling and always on the go! With this sleek design, this roller/tote will get you to where you need to go. This is perfect for travel and tournament players. Is the bag weight under 5 lbs? This bag will be over 5lbs. Due to the time it takes to produce the Brunswick Crown Deluxe Triple Tote/Roller Navy/Lime ball it will ship in immediately. We cannot ship this ball outside the United States.